In this edition of the show Max interviews Steve Keen from Debtdeflation.com. It has been five years since global debt crisis began. The debt is now so great that it can no longer be hidden. Max discusses the issue with Steve to see what triggered the current debt crisis, what the response to it was and where we stand now. Steve also comments on the latest global debt crisis and banker’s role in the current situation.Steve Keen is a professor in economics and finance at the University of Western Sydney and the author of Debunking Economics. A Modern Jubilee: How to End the Recession. As we all know, this was the year of the Queen’s Jubilee. How can anyone have failed to notice? Have you ever wondered where the word comes from? Obviously it denotes a celebration, a time of jubilation. But the question is, what is it we are supposed to be celebrating exactly? Originally the word represented the ancient practice of debt forgiveness (1). In the Bible this took place at the end of seven times seven years, that is in the fiftieth year, when all debt was cancelled, all slavery was ended, and all property returned to its original owners. The practice was also undertaken by Bronze Age kings (3) and the Roman State. Whenever the debt burden became too great, the kings would declare an end to debt, thus ensuring the loyalty of the people. The debt ledgers would be burned and a clean slate declared. Often this was done on the King’s anniversary. This was something seriously worth celebrating. No wonder they called it a “jubilee”. In case you haven’t figured it out yet, this is precisely our problem now. The world is so deeply in debt that it would take several lifetimes to pay it back. Meanwhile, the people we owe it to – the bankers – are so wealthy that it would take them several lifetimes to spend it. The debt is greater now than at the onset of the Great Depression (4). 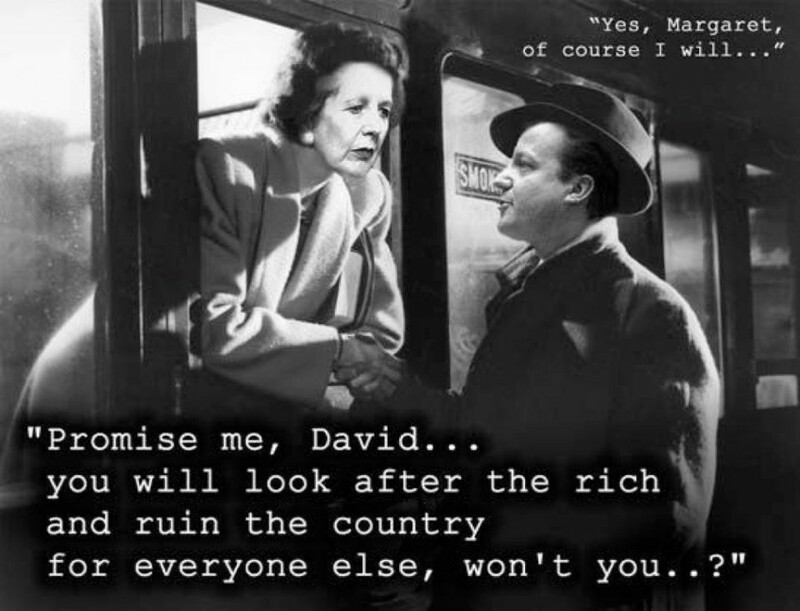 We have seen a massive redistribution of wealth, from the less well off to the wealthiest. The people who created the banking crisis have been rewarded, while the rest of us are suffering. And, meanwhile, nothing is being added to the world’s wealth. Bankers are not engaged in manufacture, in innovation, or in research and development. Really they are little more than administrators who happen to have the keys to the safe. 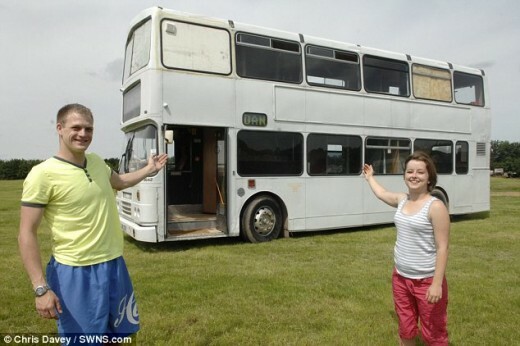 There was a story (6) in the Daily Mail recently about self-employed auto-electrician Daniel Bond who converted a double-decker bus into a home. This is not new, of course. It’s exactly what New Age travellers were doing over thirty years ago: turning buses, lorries, horse boxes, vans, trailers, army trucks and other vehicles into mobile homes. It was one of the reasons the travellers got so comprehensively trashed back then. It’s exactly what gypsies and Irish travellers are still doing, only their preferred type of live-in vehicle is a highly polished trailer with glittering cut-glass windows and hundreds of knick-knacks all over the place. Irish travellers and gypsies are also still being comprehensively trashed to this day (7). Daniel Bond’s double-decker home cost £11,000 to convert and has all the mod-cons, including a fitted kitchen and a fully-functioning bathroom. He did it because of the ridiculous house prices, he said. Everyone knows that house prices are grossly inflated. Between 1998 and 2007 house prices went up, on average, by 168%. Much of the reason for the current recession has to do with the banks’ aggressive lending over this period, driving up house prices to many times average earnings and fuelling a speculative bubble. Meanwhile the banks continue to reap the benefit of their irresponsible lending in the form of interest on over-priced mortgages. A mortgage, which once took only one person’s income to service, now often takes two. Our whole world is creaking under the weight of debt. As economist Michael Hudson (8) said: “Debts that can’t be paid, won’t be paid”. Expect to see more live-in vehicles on our roads as the recession begins to bite and people start to lose their jobs. Not all of the vehicles will be as nice as Daniel Bond’s home. One of the most notable amongst them was Steve Keen (10), professor of economics at the University of Western Sydney (12). Professor Keen predicted the credit crunch as early as 2005 but was ignored. He was known as “the prophet of gloom” because of his consistent warnings that levels of debt were getting unsustainably high and that this would inevitably lead to depression. “Depression” note, not “recession”. Professor Keen argues that we are in a depression now, which is as great, if not greater, than the Great Depression of the 1930s. He also says that if current policies continue it will take at least fifteen years for us to get out of it again. The reason that conventional economists failed to predict the crisis was that their models of how the economy works are false. Specifically they have ignored the role of the banks. According to these economists, banks merely transfer the savings of one part of the population, which then become the borrowings of another. Thus savings become debts and cancel each other out. This is untrue. In fact the banks drive up debt, multiplying the amount they lend by many times the original savings. People borrow because rising asset prices make it seem that they cannot lose; but in fact prices are only rising because demand is rising, pumped up by borrowing. This is what is known as a bubble, and bubbles always burst in the end. It was the end of the housing bubble in the United States which brought about the credit crunch. Now, here is the strange thing: Steve Keen wasn’t listened to when he predicted the financial crisis, and he isn’t being listened to now. The very same people who failed to predict the crisis are the one’s prescribing the solution, in the form of austerity. In fact austerity only serves the banks, as the economy shrinks and companies go out of business, allowing the banks to buy up their assets at rock-bottom prices. In case you haven’t noticed yet, the shift in wealth is all heading in the same direction. The rich are getting richer, while the rest of us are getting shafted. Currently the government is propping up the banks by creating money out of thin air – “quantitative easing” (12) – and then handing it to the banks in the hope that they will lend it to us. In other words, the government wants us to take on even more debt. Debt is the fuel that feeds the banking system. Recent revelations (13) have shown us just how corrupt and self-serving the banks are. We don’t want more debt, we want less. If the government can create money out of thin air to give to the banks, then it can create money to pay off people’s mortgages and to build affordable housing instead. This is Steve Keen’s solution, what he calls a modern Jubilee. He says that rather than government creating money and then giving it to the banks, it should be giving it directly to us, the people. We would then pay down our debts, the banks would go out of business, and we could end the depression overnight. We’ve tried conventional economics and they have failed us. Isn’t it time we tried unconventional economics instead? Bill Black is an Associate Professor of Economics and Law at the University of Missouri – Kansas City (UMKC). He was the Executive Director of the Institute for Fraud Prevention from 2005-2007. Michael Hudson’s official website on finance, real estate and the powers of neoliberalism. A critical interpretation of global economic trends through the eyes of Classical Economy. John Moulton of Better Capitol ltd. and Andrea Leadsome MP attempted to argue for Osborne’s austerity programme with Paul Krugman, but merely succeeded in looking completely absurd. Krugman likened ‘austerity’ to bloodletting.. the more blood lost, the weaker the patient becomes… not only does ‘austerity’ shrink the size of the economy in the short term, but also for the future. The most frightening aspect of the whole interview was that Andrea Leadsome actually seemed to believe what she was saying!